PANDUIT innovative dual-sided hinged wiring duct delivers improved wire management and aesthetics for electrical control panel and communication applications. The unique push-on hinged cover is easier to install and remove than traditional wiring duct covers and once installed can be opened from either side of the duct. Hinged cover wiring duct provides faster access to wiring, prevents cover loss, reduces maintenance costs and promotes safety. 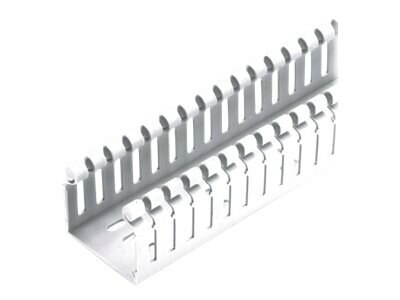 Type HN hinged cover wiring duct features a narrow slot design for high-density applications.